Sip a beer, save a bear…Join us on May 12 at Beer for Bears! Home / Latest News / Sip a beer, save a bear…Join us on May 12 at Beer for Bears! 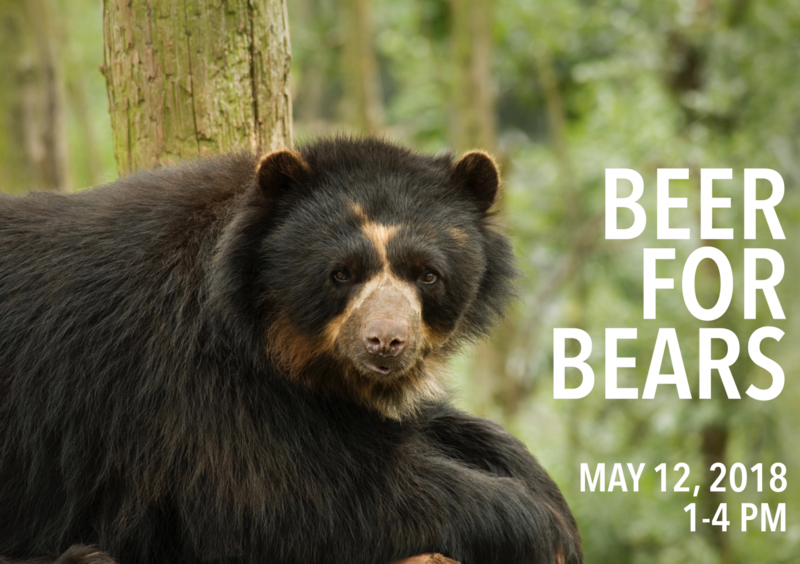 You’re invited to Beer for Bears – an event to promote awareness about the Andean bear of South America and raise funds for Nature and Culture International’s work in the Andes Mountains. Enjoy Mexican craft beer and tacos and meet Alexander More and Fabián Rodas López, Nature and Culture conservationists working to protect the threatened habitat of the Andean bear, South America’s only bear species. Tickets are now $50. Included with your donation are three delicious street tacos and four beer tasters! Ticket price is $60 starting May 6. Street parking or complimentary valet will be available. Let’s save South America’s only bear species! The Andean bear, also known as the spectacled bear, is the only wild bear species in South America. It is an umbrella species, meaning protecting the habitat of this animal brings advantages to the whole ecosystem. The bear is found from Venezuela to Northern Argentina, with the greatest numbers on the borders between Colombia, Ecuador and Peru. Each individual bear requires a minimum of 2,470 acres of connected intact forests and grasslands to sustain a population. The spectacled bear is threatened with extinction, as its habitat is being lost at a rate of approximately two to four percent per year due to mining, agriculture, cattle ranching and lumber operations. We need your help to protect spectacled bear populations and safeguard the biodiverse ecosystems bears need to survive! 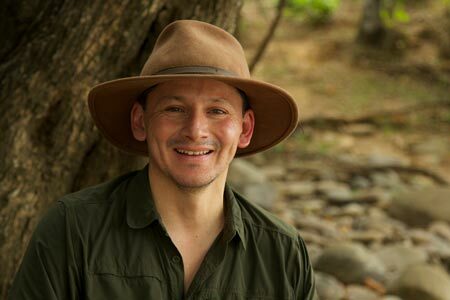 Alex is a biologist with extensive expertise in biodiversity research and conservation in Peru. He has supported the Regional Government of Piura in the development of its first Regional System of Natural Protected Areas. Alex has also conducted biodiversity surveys in northwest Peru since 2002. He has played a key role for the establishment of protected areas such as the Salitral and Huarmaca (72,000 acres) that are home to the spectacled bear. 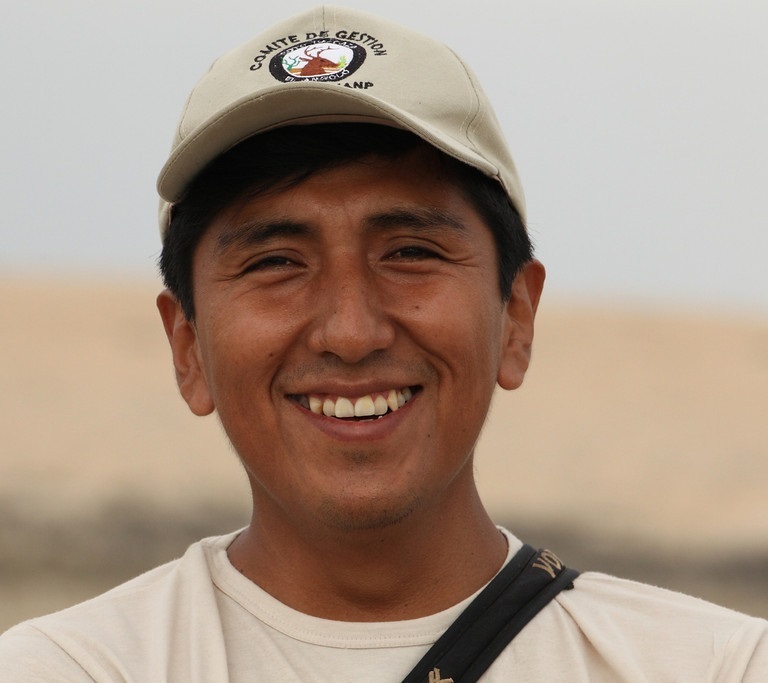 Fabián, a biologist, is the regional coordinator for our office in the Cuenca region of southern Ecuador. Over the last five years he has led the coordination to protect a large 100-mile corridor along the Tropical Andes of Ecuador, where the spectacled bear lives. He has published articles on bird conservation and on the use of GIS for protected areas. He also served as a university professor from 2000-2002. Fabián has a post-graduate degree in population ecology from the University of Costa Rica. Learn more and purchase tickets here.